In October, we introduced you to 41M and his brother, 46M, who taunted him through the bars when 41M was in our trap. Then in January, 46M wandered into a trap we set for him and we gave him a collar to match his brother’s. We didn’t see any sign of their mom until February, when we caught her on video, feeding on a deer she had killed. Up until now, it looked like 41M and 46M have had a pretty typical life with their mom. That all changed last night! 46M in a tree when he was captured in January. To back up for a minute, imagine you are a young male puma: You spend your first couple years with your family, learning what you need to know to be a grown up. Sometime between the ages of 18 to 24 months old, you have to leave the protection of your mom and look for territory and mates of your own. Ideally you’ll want to find a large amount of space (approximately a 100 square miles) with abundant food and a few female pumas to mate with. But, before you can get there, you have to contend with roads, cars, people, development, unknown country, finding food, and resident male pumas ready to kill you to defend their territory. 41M and 46M have hit the age where it’s time for them to disperse, leaving their home and family, and set out exploring unfamiliar land. It looks like 46M left the area in which he grew up, east of Boulder Creek, in search or a territory and mate of his own. Unfortunately, instead of finding his way into a nice patch of unoccupied woods, his wanderings took him into Mountain View! 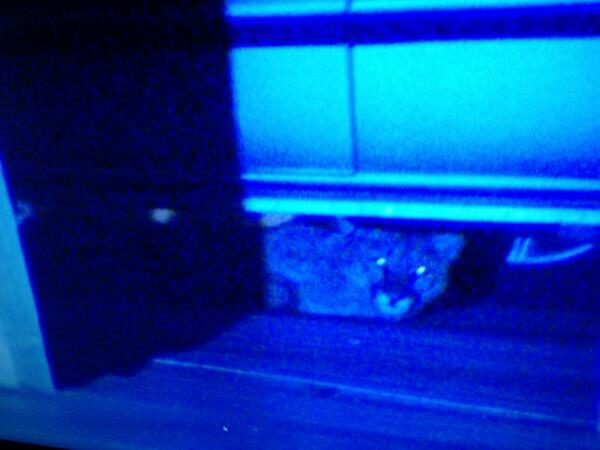 46M under a car in Mountain View before he was tranquilized and released back in the mountains. Imagine his surprise – thinking he could probably push through dispersed human development to get to more forest that was surely on the other side, only to find himself surrounded by cars, buildings, dogs, and people. He did manage to get himself to a spot – a parking garage – where the authorities could feel comfortable capturing him. 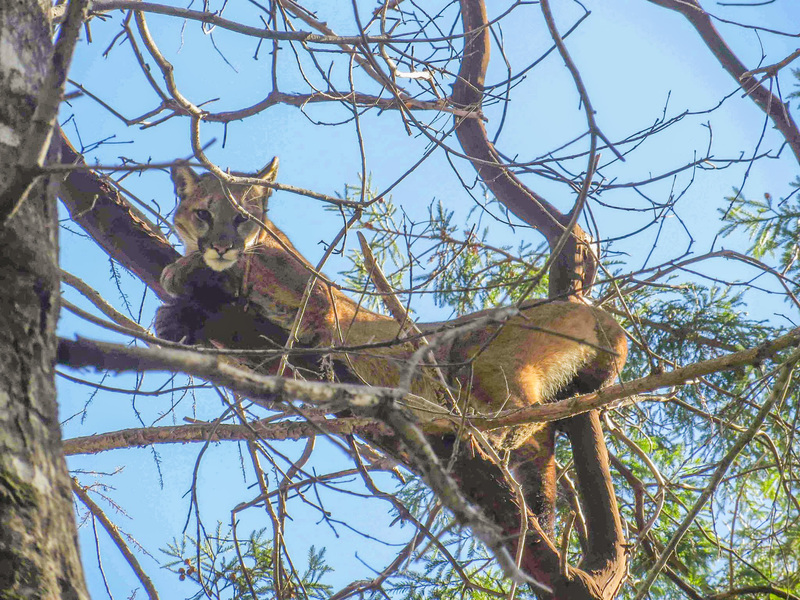 Many people from CA Fish and Wildlife and the Mountain View Police Department worked late into the night with the Puma Project to safely dart and take 46M back to the mountains where he belongs. We are grateful and encouraged to be involved with such a successful collaborative effort to help give 46M a happy ending to what must have been a harrowing adventure!